Regarding: A proposal to eliminate automobile lanes to accommodate the addition of bicycle lanes on Glenneyre Street. Over the last several weeks I have read a number of newspaper columns and watched town council meetings wherein a handful of people who refer to themselves as “complete street” advocates, have proposed the idea of reducing automobile lanes on Glenneyre Street to accommodate bicyclists. Considering that automobile traffic congestion is one of our most difficult and challenging problems, I am very disturbed by their proposal. 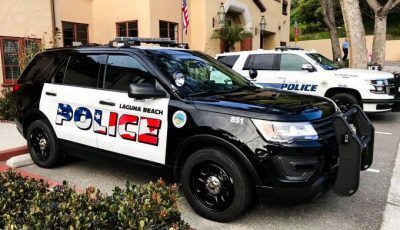 While the idea of creating a bike-friendly environment is noble, we have to face certain realities here in Laguna Beach, where land constraints can’t be ‘magically’ ignored. Traffic congestion is one of Laguna Beach’s biggest problems. If we reduce two lanes in each direction down to one lane in each direction on Glenneyre Street, we will increase congestion, decrease ingress/egress access during emergency situations and ultimately push frustrated drivers further into our neighborhoods where kids and pets will be put in harm’s way. While we all see hundreds of bike riders enjoying Coast Highway (especially during early-morning, summertime hours), we rarely see bike riders on Glenneyre, with the exception of my nephew, who is one of the very few kids that actually rides his bike to high school every day. While being “bike-friendly” is a great idea, considering how vertical most of our town is, how many of our local residents do you think will actually use their bikes to pedal into town? Can you imagine pedaling your groceries up to Top of the World? Would adding bike lanes to Glenneyre really improve our bike riders’ safety? Could we divert bike riders off Coast Highway onto Glenneyre? I don’t think so. Besides, if we did, that would create a whole new set of problems. For instance, bike riders often don’t really stop at stop signs (with the exception of my nephew, of course). Will the bike riders stop for numerous pedestrians that cross Glenneyre every day, or for the drivers (like me) trying to cross Glenneyre on their way to and from work? I’m not so sure. I hope the “complete street” advocates can help us realistically evaluate things and offer an alternate recommendation that makes sense. For instance, Corona Del Mar recently added signage to their roads that remind drivers to share the road with bike riders. To me, as a former bike rider who considered a 100-mile ride as ‘the first half,’ that makes much more sense. This letter was also sent to council members and the director of public works.